Don't get me wrong. I'm not against collaborating with people on spec projects for which they show a deep passion and commitment to seeing made into scripts. I've done it on a few occasions and the end results show some serious promise. However, I am vehemently against is working with individuals who have “million-dollar ideas”, who promise to “split everything fifty-fifty” and who lack an understanding as to how professional writers work. Let that phrase sink in: professional writer. While I create scripts because I love the process and I enjoy helping those who need it, I also want to make a living at doing what I love. Here are some of the reasons why people with "million-dollar ideas" need to invest a few dollars in hiring a professional screenwriting consultant. Execution and timing are much more critical to a script's success than the “original” concept. As I wrote in the inaugural entry in this blog, there's no such thing as a “million-dollar” idea. 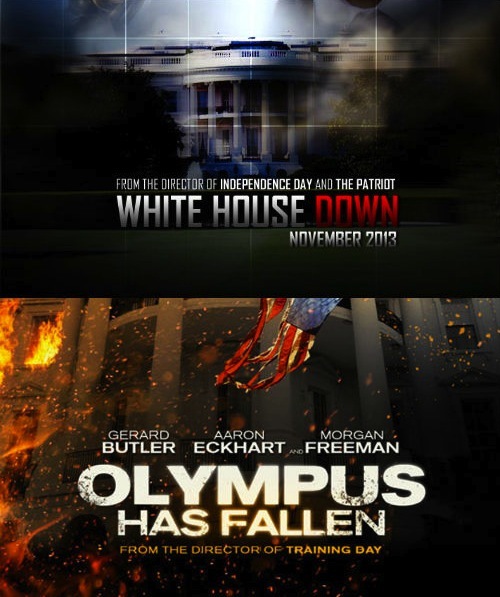 If that were true, then both Olympus Has Fallen and White House Down would have done huge box office. They both had the same idea (Die Hard in the White House) but took two different approaches. Olympus was a hard-R action picture with a budget of $70 million and a domestic gross of just over $98 million. WHD was a PG-13 action buddy-comedy with a budget of $150 million and a domestic gross of just over $73 million. (Stats from BoxOfficeMojo) Was it the idea that made Olympus a profit and WHD a dud, or was it the script, direction, acting or a million other factors? #4: Everybody Can Write, Right? We all learned how to write in school. We wrote term papers, book reports, history essays and other forms of educational make-work. We've all read books, seen movies and watched TV shows. So writing a script is simple, right? Just add the dialogue, actions and sluglines and you're good to go! People with these ideas either have no clue about how scripts are made or no respect for the process of making them. For those willing to learn, help is available. #3: Whose Script Is It, Anyway? My playwright friends have a saying, “If it ain't on the page, it ain't on the stage.” The same holds true for screenwriting. In very rare instances, a person can sell a concept or treatment to a producer without a script. The producer will then hire a writer to develop a script around that concept. The writer gets his orders (and his paycheck) from the producer, not the concept's creator, so the results will often be vastly different from what the creator had in mind. If the creator wants any control over the script, he/she needs to hire a writer early in the process. When audiences see substandard scripts getting made into million-dollar films, the idea immediately occurs to them, “I could do better than that!” They start looking at dollar signs rather than the creative process of screenwriting. Even box-office bombs like John Carter and Jack and Jill required that the writers understand basic screenplay structure, storytelling methods and character development before they could even get made. For any concept to work on screen, it takes the efforts of professional writers to mold it into the best possible form. When “idea people” approach a writer to collaborate on a project, they need to realize that a writer's job is to create the best possible script from that idea. With thousands of spec scripts written every year, very few get optioned and even fewer get made into studio feature films. If the writer develops a strong script, that writer needs to be paid for his efforts, regardless of if the film eventually gets made. To all of those out there reading this, I'm sorry to be the “prick” that bursts your bubble. If you really want to create a script that has a chance to win over producers, agents and managers, and if you really believe in your concept, then you need to invest the time, effort and money to work with a professional screenwriting consultant. Even if you don't choose me (and why wouldn't you? ), there are lots of other people with the knowledge, experience and patience to bring your project to life. Please leave your comments below, Like us on Facebook or send your questions to StoryIntoScreenplayBlog [at] gmail [dot] com. I write scripts for short films. But sometimes the writers of this platform http://www.proficientwriters.com/academic-writers help me to edit some parts. Of course, anyone can write. But the view from the outside is an integral part of the work of any author. So is necessary a lot of effort to bring the idea correctly.